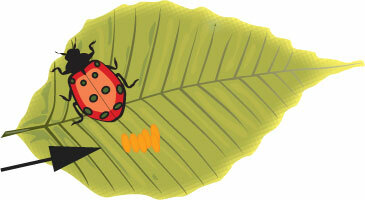 This week we have science activities and resources for learning more about beetles, Order Coleoptera. 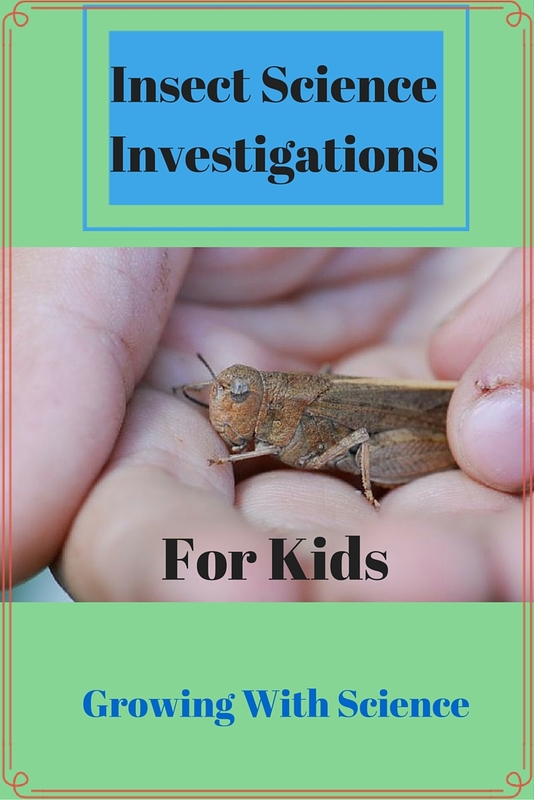 (Class: Scroll down for instructions on how to care for mealworms). Of all the insect orders, the beetles have the largest number of species by a wide margin, with over 350,000 species recognized so far. 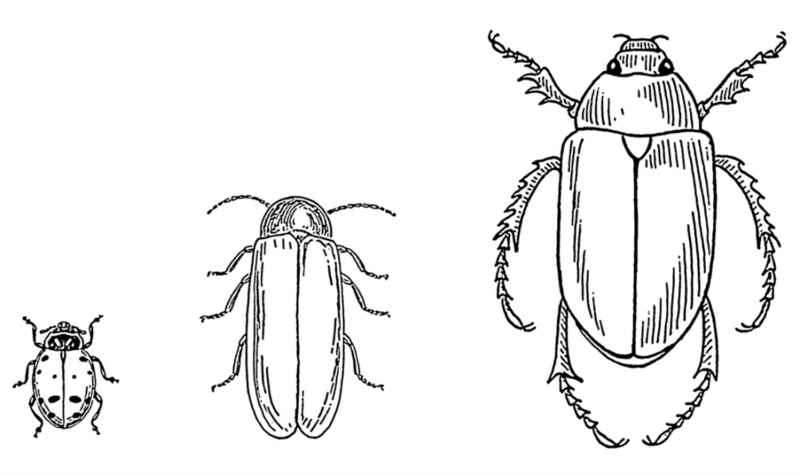 What are the common features of beetles? Beetles are insects, so they have three body parts (head, thorax, and abdomen) and six legs. Beetles can be distinguished from other insects by the fact that most adults have some sort of hardened forewings, called elytra. Beetles actually fly with their membranous hindwings, which are usually hidden or folded up under the elytra. Beetles also have chewing mouthparts and well-developed eyes. Note: Although it is hard to tell in these illustrations, the legs and wings of all insects are attached to the thorax, never the abdomen. The pronotum is part of the thorax. 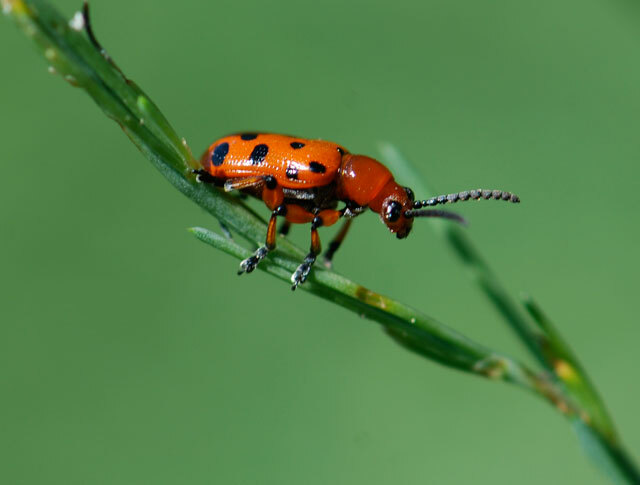 Beetles undergo complete metamorphosis, which means they pass through egg, larvae, pupae, and adult stages. Raising the larvae of a particular type of darkling beetle called a "mealworm" is a simple and inexpensive way to explore beetle life cycles. Mealworms get their name from the fact that they feed on grains, such as oat meal, corn meal or wheat products. 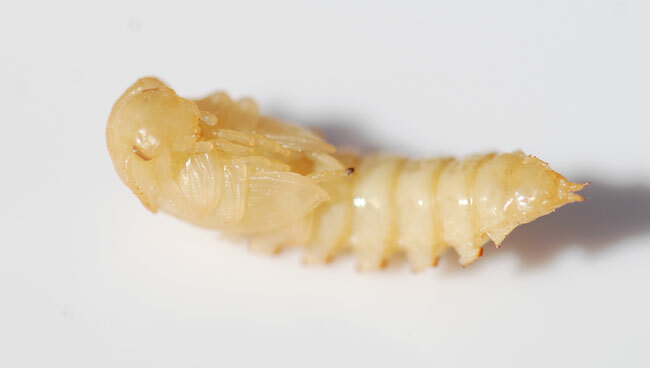 The mealworm is the larval stage of at least three species of darkling beetles. 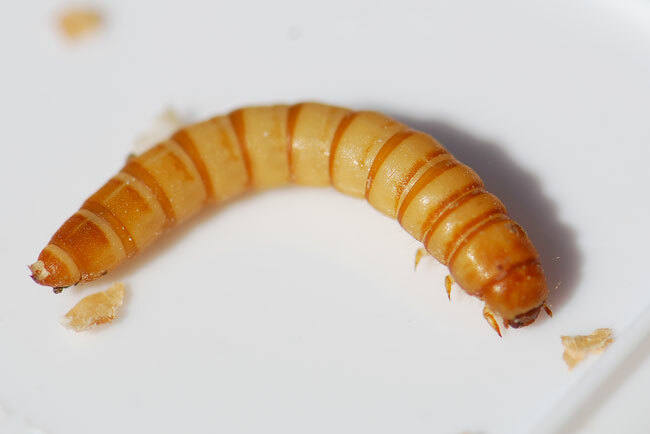 The most common is the yellow mealworm, Tenebrio molitor. Others are the dark mealworm, Tenebrio obscurus, and the giant or king mealworm, Zophobas sp. Mealworms - Mealworms are used as pet food, and are readily available at most pet stores or online. Prepare the container by poke small holes in the lid for ventilation with a pin or brad, or remove a quarter-sized hole and cover with screen. Glue the screen in place with a glue gun. Fill the container about one quarter full with wheat bran, crushed wheat cereal, oatmeal, oat bran or corn bran, or a mixture. You can also mix in dry cat food or chicken laying mash, if available. Add a few small slices of apple or potato for moisture. Change the slices regularly. If you notice the flour is molding underneath, lay the slices on a bottle top or other clean lid. Add a piece of crumbled cork or crumpled paper for the adult beetles to lay their eggs on. Add the larvae and store in a warm, dark place. After a few weeks, the larvae should change into something that looks like a soft, immobile beetle. This is the pupal stage. 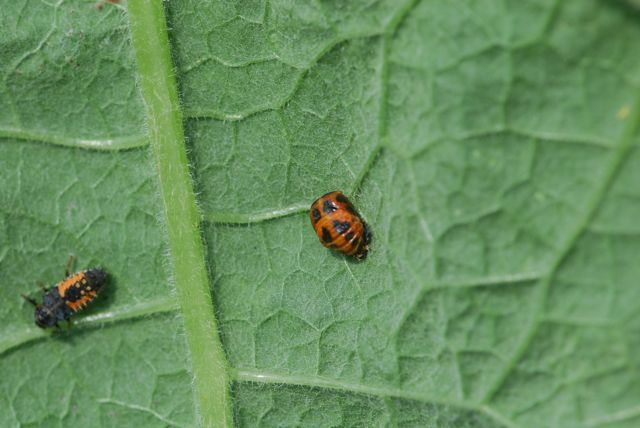 The hard-shelled adult beetle will emerge in 10-20 days. Leave the adults right in the container. They should lay eggs and which will hatch into tiny larvae in a few weeks. Add more food and remove larvae for experiments as needed. Eventually the mealworms will benefit from a thorough cleaning. Dump the contents into a tray, separate the larvae and pupae from the food, clean the container, add fresh food and return the larvae to their new home. If you don’t like to pick up the worms with your fingers, try a small plastic spoon. Activity: Draw the life cycle of a mealworm or lady beetle and label all four life stages (see resources below). 1. Obtain two or three species of mealworm from a pet store or online. Practice rearing the larvae in individual containers such as film canisters or small plastic cups with lids. When you have adults laying eggs for all species, begin the experiment. 2. Prepare new containers with exactly the same diet and conditions. Add a fresh paper to your rearing container overnight to obtain freshly laid eggs. Cut out the individual eggs and add one to each prepared container. Label the species of mealworm on the container. Set up a similar number, such as ten, for each species. 3. Keep the containers together under the exact same conditions. Record how fast the larvae emerge, when they pupate and when new adults emerge. Which species has the quickest life cycle? Which is the slowest? Enchanted Learning has a mealworm life cycle worksheet to print out. 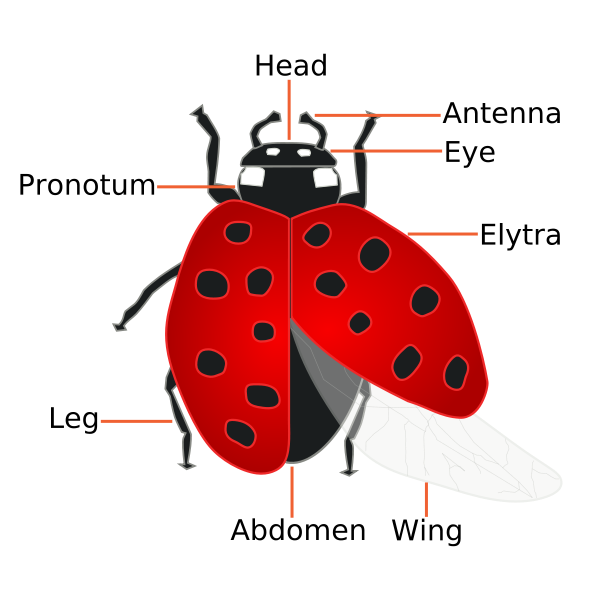 Visit the Lost Ladybug Project for an opportunity to participate in a citizen science project, as well as for a wealth of free teaching resources and identification guides. See our blog post of information and activity ideas for ladybugs (lady beetles) as well.